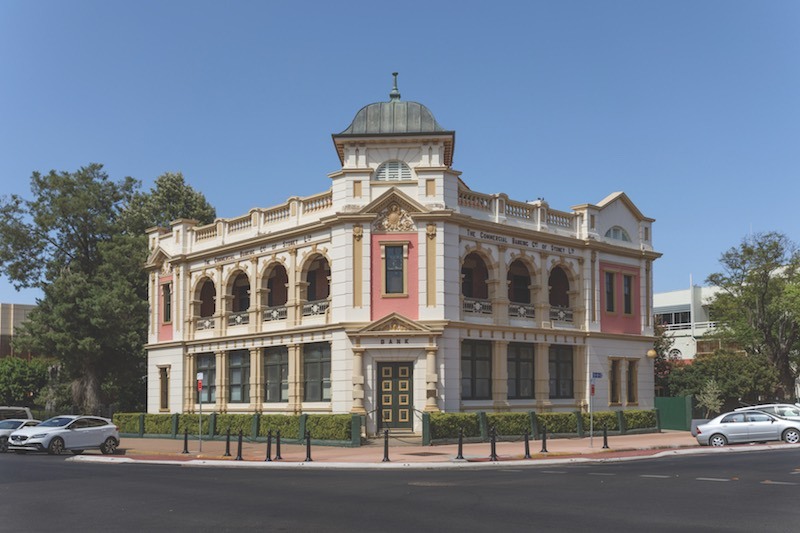 BANK ART MUSEUM MOREE (BAMM) is a regional art museum offering opportunities for audiences to experience diverse contemporary arts practices. Established in 1988 with a bicentennial grant from the Department of Aboriginal Affairs, BAMM grew from a groundswell of support for a cultural landmark to bring Moree’s community together in the spirit of reconciliation. Today, BAMM holds one of the most significant collections of Aboriginal paintings in regional New South Wales. BAMM also offers an invitational Kamilaroi Artist Residency. The collection features works by internationally recognised Australian artists as well as those working in north-west New South Wales. BAMM’s annual program features a changing schedule of exhibitions, including nationally touring shows and semi-permanent collection displays. BAMM is supported by an active cultural community known as Friends of BAMM. Membership benefits include invitations to exhibition openings, free entry to monthly Art After Dark events, as well as 25 per cent off art classes and venue hire. Education activities include exhibition and back-of-house tours, artist and curator talks, and art classes for all ages.